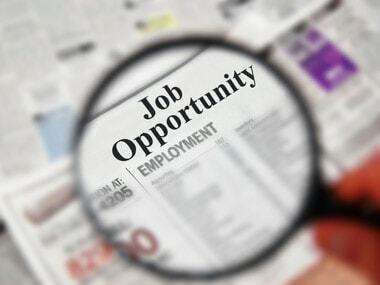 New Delhi: The job market is looking forward to a big boost from the new Goods and Services Tax (GST) regime and expects over one lakh immediate new employment opportunities, including in specialised areas like taxation, accounting and data analysis. 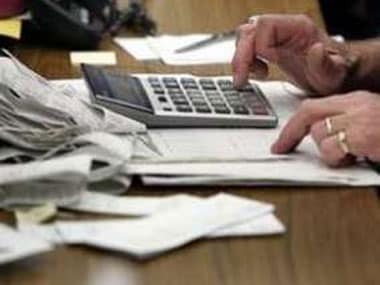 The historic tax reform, to be rolled out from 1 July, is expected to help the formal job sector attain an annualised growth rate of 10-13 percent and fuel demand for professionals in various segments of the economy, experts said. Indian Staffing Federation's President Rituparna Chakraborty said the GST will make procurement and distribution of goods much faster while cash flow is expected to become more predictable and profitability should improve too. "All these and the transparency of compliance shall make working with unorganised players exponentially less attractive thereby pushing the country towards greater formalisation," she added. "We are expecting an annualised growth to the tune of 10 -13 percent in formal job creation on account of GST," Chakraborty said. Leading executive search firm GlobalHunts MD Sunil Goel said, "On an estimation, it looks like it will create more than one lakh jobs immediately from the first quarter of the implementation date and another 50,000-60,000 jobs will be created for specific activities for GST, going forward." Mid- and small-sized companies will prefer to outsource similar activities to the third-party account firms, he said. GST is expected to create significant job opportunities as the businesses will need to hire professionals for dedicated GST management, upgrade and reconciliations. "The new tax system will have a positive impact on ease of doing business, thereby making it conducive for foreign investors and companies. This would help in better execution of all government initiatives and propel formal job creation," Monster.com's APAC and Middle-East MD Sanjay Modi said. Sector-wise, the immediate high-impact segments of GST are expected to be automobiles, logistics, home decor, e-commerce, media and entertainment, cement, IT and ITeS, BFSI, consumer durables, pharma and telecom. LabourNet Services India co-founder and CEO Gayathri Vasudevan also said hiring is expected to see a significant rise across sectors. However, this will become a reality only if the infrastructure and logistical challenges on the path of GST implementation are mitigated in time, she emphasised. "Although GST is set to propel hiring, compliance ambiguities such as place of supply (intra- or inter-state), for instance, could pose as a challenge for industries that could adversely affect job creation in the near future. However, once the transition phase eases out, in the long run, GST will add momentum to the entire hiring landscape," Vasudevan said.